/ Modified nov 15, 2017 9:28 a.m.
Tucson Police allow officers to review footage before writing report. Tucson police officers respond to a situation. The increased use of body cams by police has drawn serious concerns from a national coalition on civil rights made up of more than 200 organizations. The Tucson Police Department was one of 75 police departments evaluated. The report, called "Police Body Worn Cameras: A Policy Scorecard," was produced by the Leadership Conference on Civil and Human Rights and Upturn, a coalition made up of more than 200 organizations. The scorecard uses eight criteria derived from the Civil Rights Principles on Body-Worn Cameras signed by a broad coalition of civil rights, privacy and media rights groups in May 2015. The Tucson Police Department scored mostly positive on the eight criteria the civil rights coalition used to evaluate the use of body cams. But on the most critical — the policy that allows police to review their footage before writing a report — TPD was scored as failing. Sakira Cook of The Leadership Conference on Civil and Human Rights, explains why evaluators found the policy of reviewing footage prior to writing a report as ripe for abuse. Lt. Tim Gildner is in charge of managing the body cameras in the Tucson Police Department. He questions the qualifications of those producing the scorecard. Gildner says peer-reviewed reports from those who know how body cameras work and have used them in real-life situations are better able to recommend how the cameras should be used in the future. He says TPD's main concern in using body cameras is public safety and police transparency. TPD was able to purchase 300 more body cameras with funding from Proposition 101. The goal is to have body cams for all of TPD’s almost 900 officers by the first of the year, officials said. 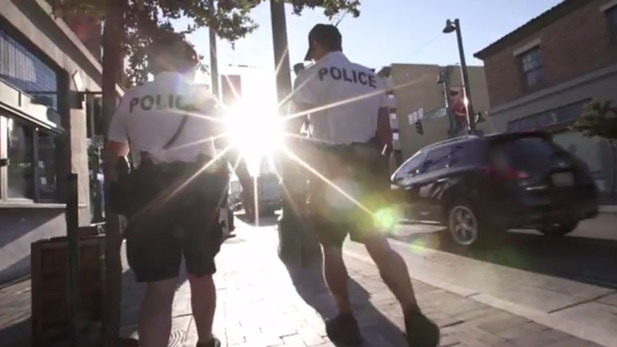 Tucson Police Ask City to Fund School Resource Officers City Seeks Citizens to Review Prop 101 Public Safety Spending Prop 101: Should Tucson's Sales Tax Rise for Public Safety, Streets?